Legacy Design Build Remodeling has a history of high customer satisfaction, but don’t take our word for it: take a look at our Testimonials page. Our first priority is a happy client as your #1 remodeling contractor in Mesa AZ. The testimonials below are just a sample of what our current and former clients have to say about us. You’ll see that we value workmanship, quality products and seamless communication when it comes to interior design and home remodels. Our interior design services always put your satisfaction first. 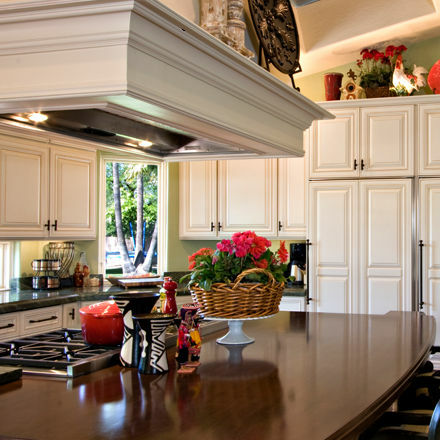 At Legacy Design Build Remodeling, our first priority is quality workmanship and a happy client. That’s why we put so much effort into every detail as part of interior design in Scottsdale AZ. When done right, lighting, flooring, countertops, cabinetry and decor can all come together to complement any space. We provide expert interior design services for some of the most attractive homes in Phoenix, Mesa and Scottsdale, and have been doing it for more than 15 years as a leading provider of home remodeling in Phoenix AZ. You too can be a happy customer just like these clients. It all starts with a phone call to your #1 remodeling contractor in Mesa AZ. Call Legacy at 480-534-3934 to schedule a free no obligation consultation! Legacy does great work and they stand behind it. Our project supervisor Jacob Randall was always on-site daily and always available, even outside business hours. Highly Recommended. Just wanted to thank the whole Remodeling team at Legacy Design Build for a great project from start to finish. From project concept, to design to implementation, Richie DeFreitas, Deb Nagle and Derek Chase, worked hard to make my place perfect. The project more than met my expectations, coming in under budget. I highly recommend if you have a big remodeling project make sure Legacy is included in your plans. Thanks Team! From the very beginning of the project, things went pretty smoothly for us with only a few minor hiccups that were quickly dealt with and resolved. It started with Jeremy Plambeck helping us to create a design layout for our new kitchen and bath, he was very patient with us, allowing us to make several changes and modifications until we were completely satisfied with the design. He then rendered a 3D view so we were able to see exactly what the end result would be. From there we were guided by Debra Nigel through the complicated task of making our material selections from the huge array of products that were offered, with her guidance and expert advice she kept us focused and on task, and actually managed to make the whole process of selecting from lightning, countertops, hardware, tiles, and all the rest of it fun and easy for us. She kept us informed of the detailed progress and progression of the work as time went on. We also were lucky enough to meet the guys who did the actual work in the house for us. They were very hard working, pleasant and courteous to us when we would stop in to see the progress for ourselves, never making us feel as if we were in the way, we greatly appreciated that. So in ending, I want to let each and every one of you from the Legacy Design Team know that we could not be happier with our new kitchen and bath and to send you all our deepest thanks! We are very pleased with the remodeling of our kitchen and three bathrooms. Debra and Jerry went above and beyond to please us. I would highly recommend Legacy. Both appraisers raved about the remodel. They see a lot of remodels that are done half-assed (direct quote) but ours was superb. We had a lot of family and friends over during the holidays and everyone loved it. The media wall is a huge hit and focal point of the room. We had 15-18 people in the greatroom/kitchen area and it wasn’t cramped at all. That room is soooo open now. I’ll get serious about adding accents/decorating now. Moving in and the holidays were hectic, but thanks to Legacy we loved every minute of it. And I’m not being cheesy. We really love our finished product. As a vendor of Legacy I have to say they are amazing. Their professionalism and attention to details explains why they have been in business for over 30 years. What a great team they have and highly recommend them!!! We've all heard home remodeling horror stories, but this isn't one of them! I am so thrilled with my new home. I can't say enough about the team of professionals assigned to my project. A special thanks to interior designer, Debbie who made this experience so much fun. She listened to my thoughts and ideas and made recommendations. It's because of her design expertise that I fall in love every time I walk through my door. A shout out to Jerry, the project superintendent whose attention to detail and great customer service went above and beyond. This guy knows the business inside and out. If you're considering a remodel, please don't hesitate to place your trust in Legacy. I am so grateful to them. I got what I paid for! We did a major remodel of our house with Legacy and they were great to work with. Professional, courteous and most important they did the job right. Debbie was amazing and patient. She helped us find the selections and colors that gave the house a modern look and matched our tastes. With folks like Jerry and Ritchie overseeing the work we really felt like we were in good hands. Thanks for a beautiful remodel! Legacy is awesome... very professional and fun to work with-- especially Deb! Love her design eye and shopping with her 🙂 Great installers and quality of work. Would highly recommend for any job.